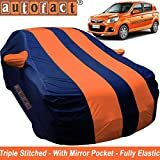 Top 10 Best Car Covers in India 2019 - Top 10 In India - Only The Best of everything! LATEST product list, updates regularly! If you are looking for a decent car cover that will do the job, then choosing from the Top 10 bestselling car covers is quite alright. However, if you want a high quality car cover that will not only protect your car but also prevent paint swirls, hairline cracks and other minute deterioration of your car’s lovely paint, then you need to go in for a higher quality car cover. One of the better car covers that you can go in for are the Tyvek car covers from Dupont. They are known as Polco Dupont Tyvek car covers and are in the range of 2000 plus. These covers are offered as Segment A, B, C, D, E etc. car covers. If you want to buy a Tyvek car cover you first need to know which segment your car falls in. These are the small size cars, the so called mini cars. Examples are Suzuki Celerio, Maruti Zen, Alto, Alto K10, Astar, Mahindra Reva, Tata Nano, Datsun GO, Chevrolet Spark, Beat and Hyundai Eon. A little larger than the mini segment is the super mini segment. Small and affordable cars, they are quite popular in India. Examples are Ford Fiesta, Toyota Vios, Maruti Swift, Ritz, Hyundai i10, Getz, Tata Indica, Fiat Palio, Chevrolet Uva, Ford Figo, Nissan Micra, Renault Pulse. This segment worldwide is the most popular segment as the cars are mid-size and are at the mid luxury range. Examples are Honda Amaze, Hyundai Xcent, Accent, Verna, Tata Indigo Cs, Zest, Maruti Swift Dzire, Ford Ikon, Mahindra Logan, Verito and Chevrolet Sail. The cars in this segment are the larger luxury cars that come with the badge of affluence and success. Examples are Mitsubishi Lancer, Cedia, Toyota Corolla, Corolla Altis, Prius, BMW 3 Series, Volkaswagen Vento, Jetta, Chevrolet Aveo, Cruze, Optra, Renault Fluence, Audi A4, Tata Indigo XL, Hyundai Verna Fluedic, Maruti SX-4, Ford Fiesta, Ford Mondeo, Volkswagen Passat. These are large luxury vehicles in the full size range, with the E referring to Executive class. Examples are Audi Q3, Renault Duster, Nissan Terrano, Mahindra Xylo, Quanto, Skoda Yeti, Ford Eco Sports, Mahindra XUV 500, Volvo S90. 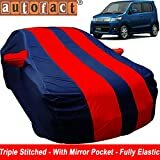 These car covers are the most popular in India. They are bestsellers in their categories and trusted and well loved. They deliver great quality at a good price. When you choose a car cover, always keep in mind how much protection your car needs. It will help you choose between regular car covers and high end car covers that provide extra protection from the elements and also small scratches and dings on the car body. When you choose from the Top 10 in India website, you cab rest assured that you will get the best deals and the best quality. Also don't forget to check out the est Car Covers Deals button, you might something even more trendy there. Go ahead, these are India's most popular and trending car covers. CLICK HERE FOR TODAY”S UPDATED BESTSELLING CAR COVERS! It is easy use and easy cleaFull Size Car Cover for Maruti Swift Dzire 2017 . It Covers your Car bumper to bumper accurately. Car Body Cover made by High Quality imported Fabric Strong, effective and all weather car covers for your vehicle Very Light Weighted Custom-fit car cover Very tough and long lasting. 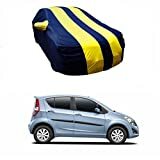 Full Size Car Cover for Hyundai i10 . It Covers your Car bumper to bumper accurately. Full Size Car Cover for Maruti Ciaz . It Covers your Car bumper to bumper accurately. 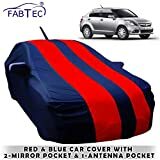 Do car covers really benefit your car and are they worth putting your money into? The very first thing to consider is the state of your car right now. If it is quite old and already in a slightly run down condition? If it is in a bad shape, then getting a car cover will probably be a waste of money. However, if your old car is well maintained, then a car cover will be an excellent investment to keep it looking new. In fact, a god car cover not only protects your car’s exterior, it protects the interior too. This is a fact with all product categories and it is very true in the case of car covers too - a better quality car cover will cost more. If you go in for a cheaper car cover that is not of a high quality, you will quickly realise that it will not last very long, and it won’t protect your car very well either. Some people who bought cheap car covers found out within a few weeks that the car covers were of a very low quality. Sometimes they start to fall apart at the seams, and mostly they do not cover the car well or stay on it properly Cheap car covers are blow away by a strong gust of wind easily. If you pay a little more for your car cover, then you will not have to face these problems. A good quality car cover will keep your car well protected for years. There are differing quality as well as grade of car covers. 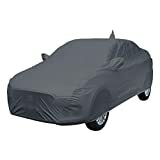 There are usually lighter car covers made from cotton that are used to keep dust away from a car that is parked inside. There are heavier and stronger all-weather car covers that will protect your car which is parked outside. These heavier car covers are all season car covers that will keep the car protected in all seasons and extreme weather too. A car cover will protect your car from dust, dirt and moisture. Also it will keep your car protected in all kinds of weather conditions. That means your car will be kept protected from rain, pollution, smog and winds. A carc over also protects your car from splashes of water, dirt and mud. Another very important benefit is that a car cover will keep your car safe from dents, scratches and dings. The material of the car cover will prevent damage to your car, when it is stationary. A good car cover ensures that there is proper air flow inside the car cover. That means there will be good air circulation and flow under the car cover, so that the car stays protected from condensation and moisture accumulation under the cover. Proper air flow also keeps the exterior of the car protected. One factor that impacts the paint of your car is UV rays. A good car cover does an effective job of protecting your car from UV radiation. Along with UV protection the car cover also protects against mold. When the car cover material is treated with polypropylene, it gives the car effective UV and mold protections. To end this section, we would like to say that the very best protection for your car will be from a car cover that is tailor made for your car - a cover that fits your car exactly and is for your specific car model. This type of cover will give the very highest levels of protection to your parked car.
! !..Contains MIRROR POCKET With ANTENNA..!!
! !..This Car Cover Is Not Water Resistant Or Waterproof..!! It is a perfect Maruti Alto K10 Car Accessories. Protects your Vehicle from Dust, Bird's Ding, Scratches etc. It is a perfect Car Accessories. Protects your Vehicle from Dust, Bird's Ding, Scratches etc.